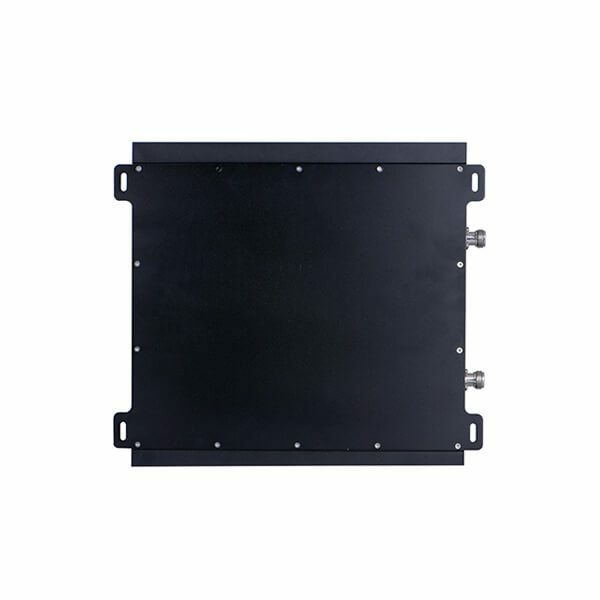 The Dual Band Signal Booster is a great solution when you need to cover medium areas. 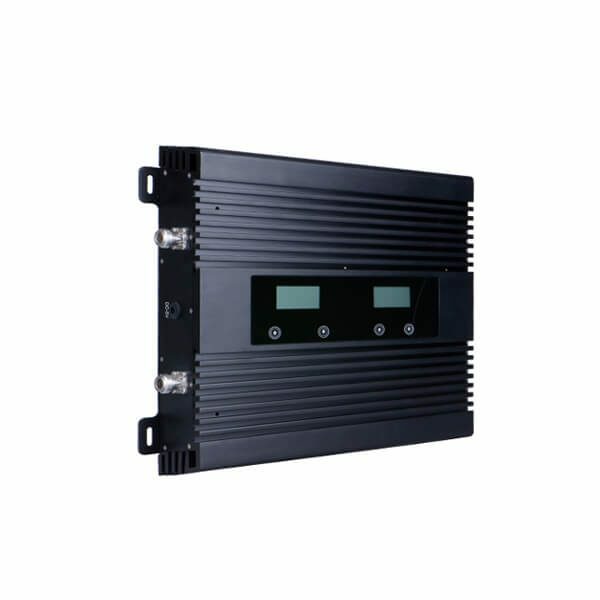 Its dual-band capabilities (850 / 1900 MHz) and affordable price make this model a unique and practical option for improving signal in areas of up to 6500 sq ft. 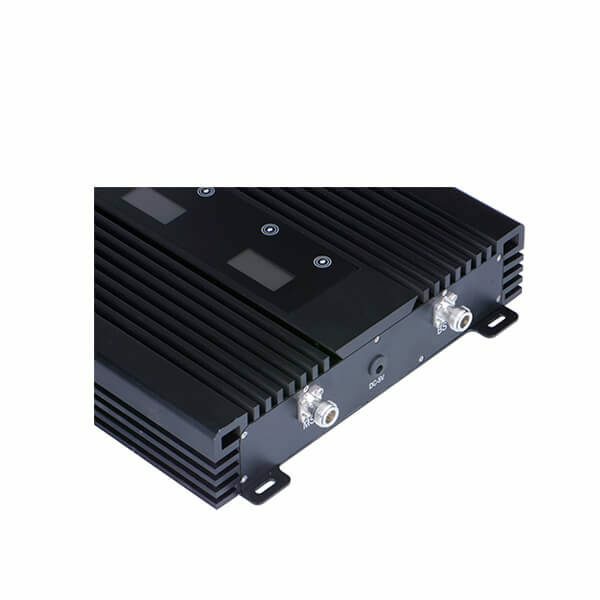 The Cell Phone booster improves mobile 3G and 4G LTE signal from At&t, Verizon, Sprint , T-Mobile and US Cellular networks. 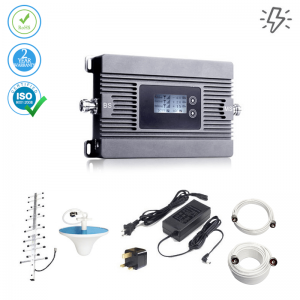 It is fitted with energy-efficient AI which switches the unit to standby mode between calls and is suitable for large houses, offices, cafes, and restaurants, and medium-sized warehouses and marinas. When it comes to business, poor cell phone signal can be a negative aspect of your communication system. You want your workers to be able to contact customers at any time, without irritating them by needing to make multiple calls to finish a conversation. 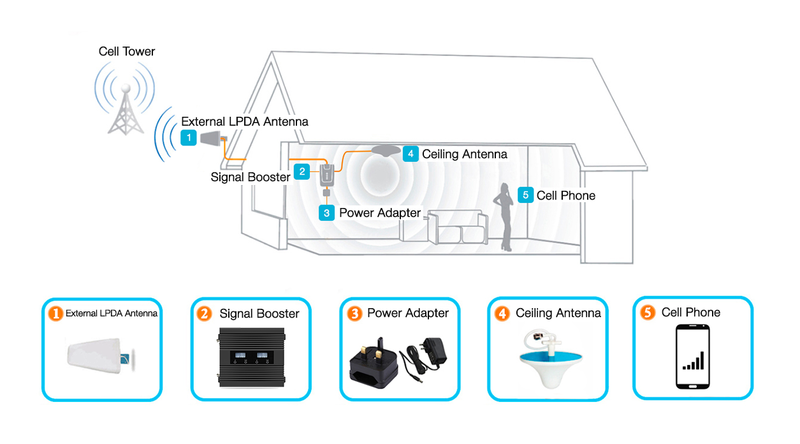 With the proper size cell phone booster for your large home or office, you can have improved signal strength in minutes, using our easy installation procedures. This can boost US Cellular, Sprint, Verizon, T-Mobile signals. 1845 – 1879 MHz AC90-264V,output DC 5V / 3A 125*140*32 (mm) 1.2 KG. I thought I'd tried everything to improve my cell reception to no avail. Then I tried this! Finally something works! Workes very well for me. Went from no service inside to 3 or 4 bars. This product is extremely effective. It works as it should and increases poor signal. 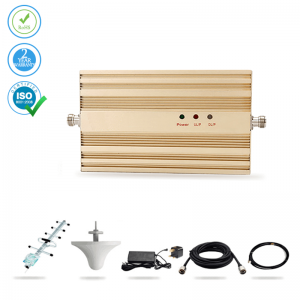 Just on the edge of mobile reception and even without an external aerial, we have full signal throughout the homestead. 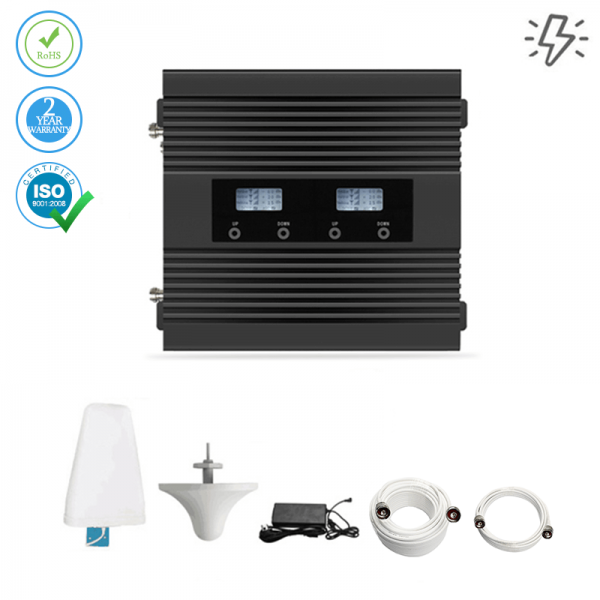 The device came on time, it was easy to install and works as described. Very satisfied. I noticed a huge difference. I would get no bars in my basement and could never receive a call. Now I get full signal. The calls, texts and data come through clear as day now. Easy to install, i now have service in areas i never used to. Very quick delivery and very easy set up. A very happy customer! I haven't regretted buying this produce for a moment. I'm super pleased with its performance.